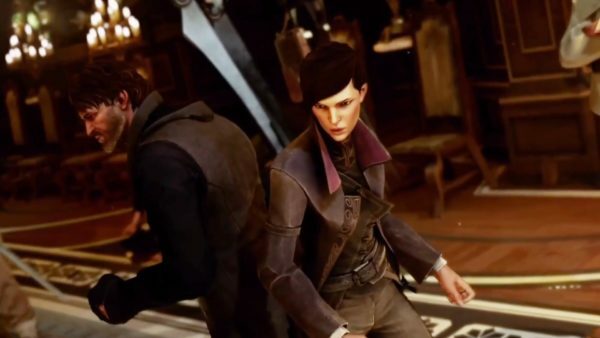 This is a no-brainer for anyone attempting a High Chaos run in Dishonored 2. Going High Chaos means that you’re looking to take down any and all enemies you see in your way, and you’ll definitely need a large health pool for that. Having more health is always useful, as you never know when you might need to flee from battle to take an Elixir. Simply put, more health means you have a higher chance of surviving long encounters. When you have enough runes, consider getting Greater Vitality as well. This perk will increase your health regen rate, and allow you to regain even more health before you have to drink an Elixir. The Reflexes ability is a must-have for High Chaos players because of the defensive perks it can give you. 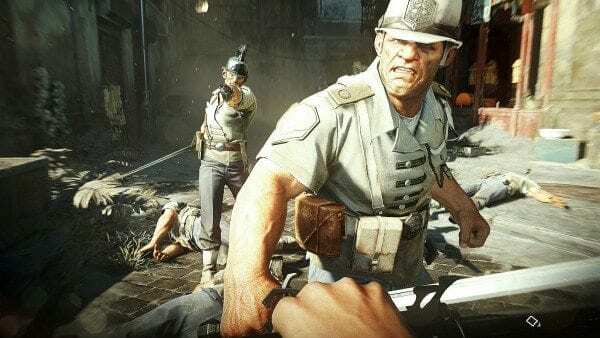 Simply purchasing the base ability will allow you to parry attacks, which is great for mitigating incoming damage in Dishonored 2. It’s also worth noting that Reflexes will let you parry ranged attacks as well, so there’s no more need to duck and hide whenever someone comes at you with a gun. If you can parry the bullets, that is. I highly recommend picking up the Superior Deflect and Adept Parry skills down the line too, especially if you happen to take a liking to the parrying mechanic in the game. Superior Deflect lets you deflect bullets and bolts onto nearby enemies, which is a fantastic skill to have if you’re facing off against multiple ranged opponents. On the other hand, Adept Parry increases your parry window. This means that you’ll have more time and leeway to pull off a successful parry. This is especially useful for beginners or players still trying to get a hang of the mechanic. Considering its low cost (only one rune! ), there’s no reason not to get this one. Lastly, Snap Reaction is another handy ability for High Chaos players. It slows down time whenever you’re spotted by enemies, giving you time to react and counterattack. 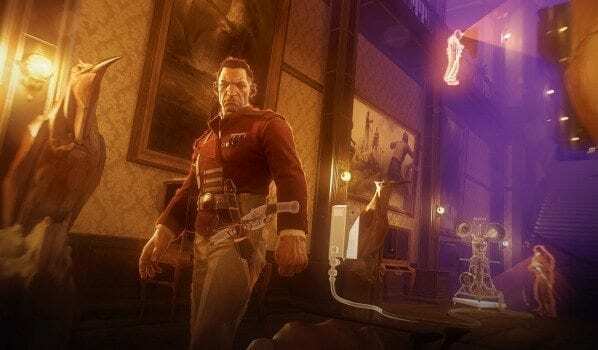 Blood Thirst is a combative ability in Dishonored 2 that lets players build up Adrenaline while fighting against enemies. As you take down and parry enemies, you’ll gain Adrenaline. Once you’ve reached the limit, the screen darkens, and you’ll be able to instantly kill your next enemy. Blood Thirst gets even better when you pick up the Adrenaline Burst perk. This allows your Adrenaline to build up to a certain level even when you’re not engaged in combat. This means that when you do get into a fight, you can trigger the auto-kill much quickly, and end your fights swiftly. Greater Blood Thirst is a nice perk to have as well, but considering its cost, I’d hold off on picking it up until you’ve gotten the more important High Chaos abilities like Vitality and Reflexes. The perk grants you two auto-kills instead of one. It’s a nice bonus to have, but not entirely necessary for High Chaos players. 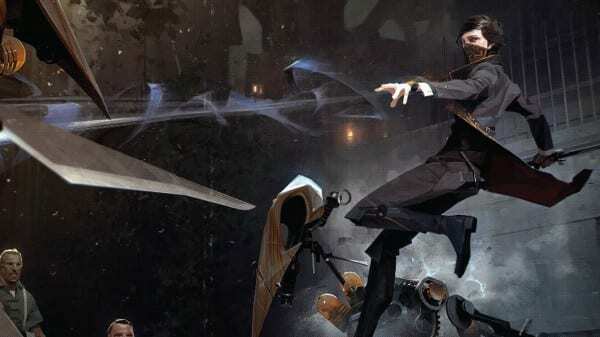 If you chose to play as Corvo in Dishonored 2, be sure to pick up Windblast on your High Chaos run. While the base ability is a little lackluster on its own, upgrading it will put a powerful AoE attack at your disposal. 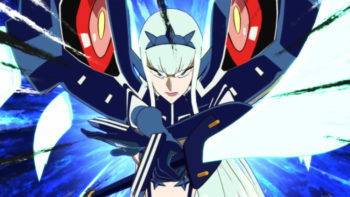 On its own, Windblast can be used to deflect some projectiles and throw enemies. This can be useful if you need some recovery time during a fight. However, once you pick up Greater Windblast and Shockwave, it does even more damage and gains an extremely useful AoE effect. This is mostly for players who prefer clearing out waves of enemies at a time, or like to create a buffer between themselves and their foes for a chance to escape and come back to the fight later. On the other hand, if you’ve chosen to play as Emily, consider picking up her Domino ability on a High Chaos run. 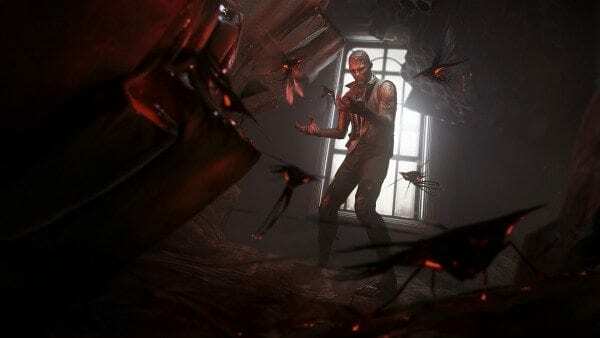 The base ability will allow players to chain two enemies together, and both targets will suffer whatever affliction you apply on any one of them. This means that if you kill one linked target, the other will die as well. The same goes for status effects. This doesn’t sound terribly useful, but if you upgrade this ability twice more, you’ll be able to link two more targets in the group, which can be really effective against larger groups of enemies. Even if you want to play more stealthily, Domino is a great ability to have because you can take out four enemies at once with just a single sleep dart. How handy. For players who are out for blood.